Kansas City, Mo. 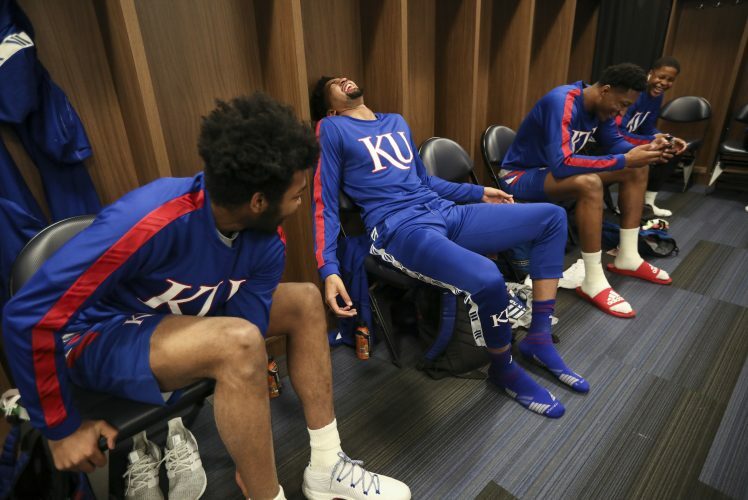 — When Kansas lost starting center Udoka Azubuike for the Big 12 tournament due to a left knee injury, senior point guard Devonte’ Graham knew the top-seeded Jayhawks would need Mitch Lightfoot and Silvio De Sousa to produce in the 7-footer’s absence. 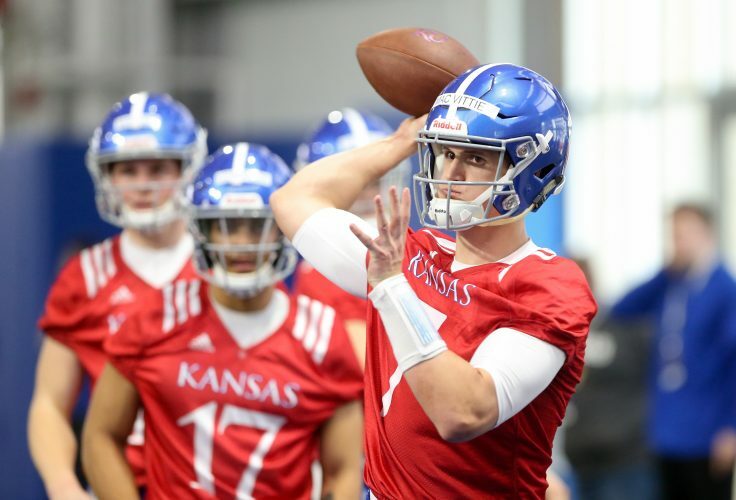 What Graham didn’t realize before Thursday’s quarterfinal against Oklahoma State, though, was KU would even lean a little bit on basketball walk-on and football scholarship player James Sosinski — in the first half no less. 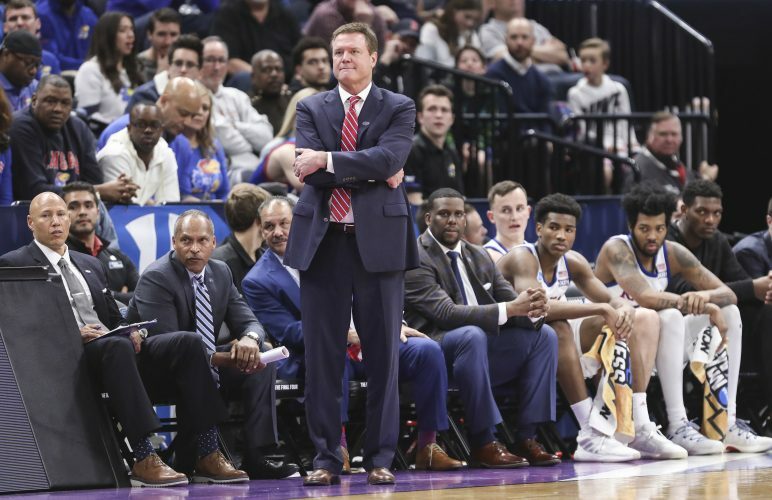 Two fouls apiece on fill-in starter Lightfoot and backup big De Sousa before intermission forced Bill Self to turn to Sosinski for just the fourth time this season. 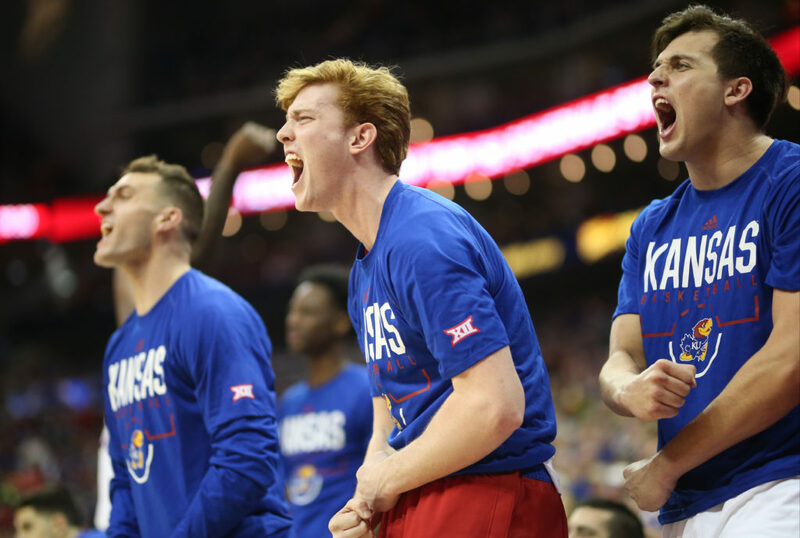 It was at that point in the discussion that Graham, enjoying the team’s 82-68 victory over the Cowboys, spotted Lightfoot walking nearby in KU’s locker room and let it be known Sosinski had the Jayhawks’ sophomore big man to thank for his unexpected role. 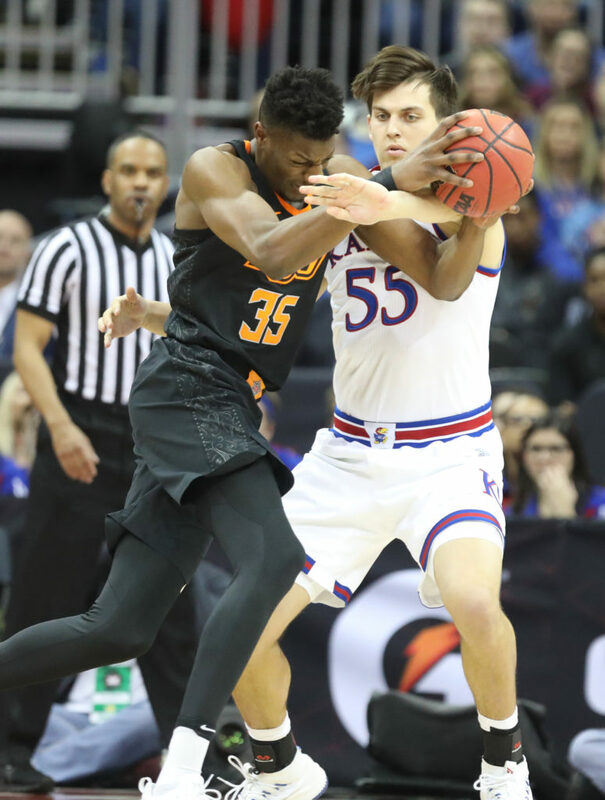 Indeed, the Cowboys’ Yankuba Sima drew a foul on Sosinski, put in two free throws, and scored another basket inside during the 6-foot-7 KU reserve’s 1:25 of playing time. Before De Sousa got comfortable, finishing with 6 points and 8 rebounds in 15 minutes, Self didn’t think the freshman played very well in his first opportunity off the bench. KU’s coach even thought about turning to Sosinski earlier than he did in the first half. The next time Self needed to sub out Lightfoot, he wanted to insert Sosinski, before his assistants talked him out of it. “I’m probably glad I made the decision I did,” Self said. 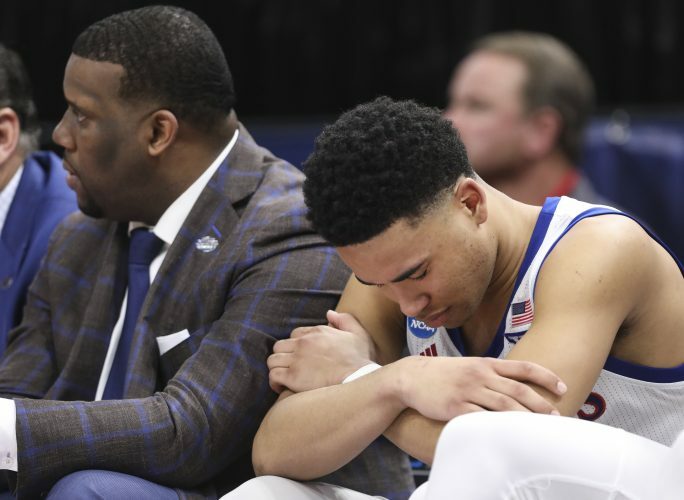 “It’s nice to have James, but I never thought going into this season, when you’ve got Udoka and you’ve got Billy Preston, that James Sosinski may be important in the postseason,” he added with a chuckle. 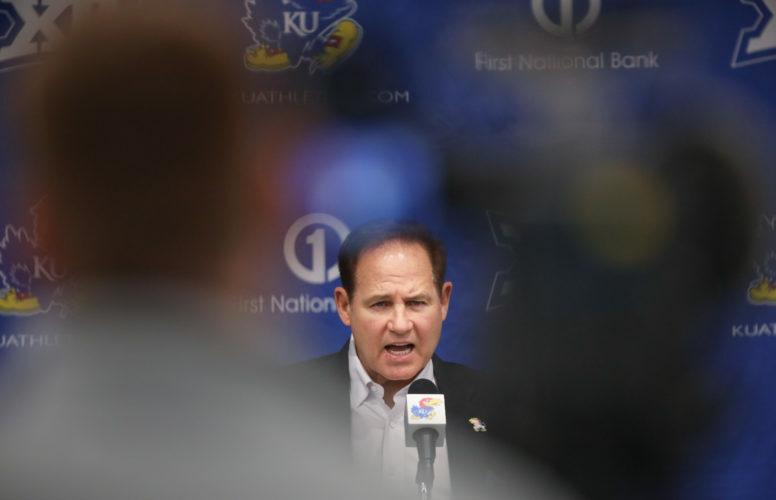 In truth, Sosinski’s presence didn’t make or break KU. The only statistic he recorded in his minute-plus was a personal foul. In the final seconds of the half, Sosinski looked to be positioned for an offensive rebound on a missed Marcus Garrett 3-pointer. However, senior Svi Mykhailiuk came crashing in from the weak side, soaring above the low-to-the-floor football/basketball player. Mykhailiuk scored a buzzer-beating layup for a 43-42 halftime lead. 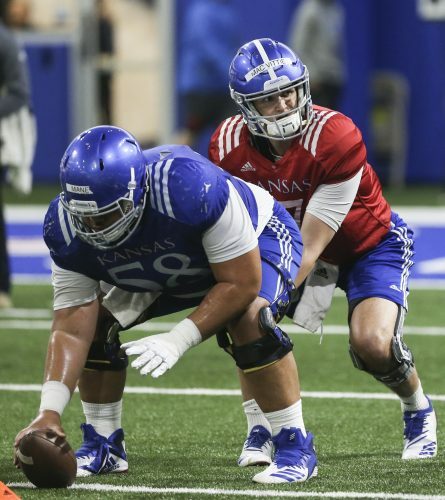 Just a bad-luck situation for the seldom-used backup to KU’s backup bigs? Not according to Graham. The two-sport athlete from Chandler, Ariz., has played sparingly, with two similarly brief appearances, since getting four minutes of playing time Dec. 18 versus Omaha and scoring 4 points in mop-up duty. Sosinski left the arena Friday feeling grateful for his short cameo and a rare chance to chip in.